Handwritten notes make everyone feel special. Especially notes written on 280# cotton paper with gilded edging! 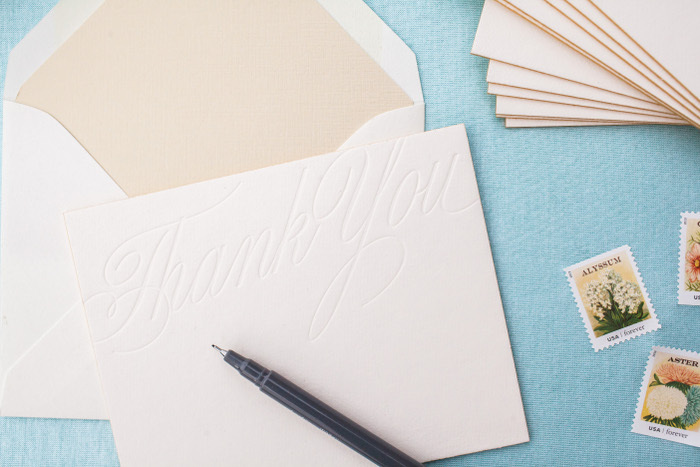 Show your gratitude and leave a lasting impression with this blind pressed collection of classic thank you notes with coordinating envelopes finished with gold metallic liners. Creative Tip: This set is a great gift for anyone because it is neither feminine nor masculine – just classic!